Oh baby, these 5.75 oz. 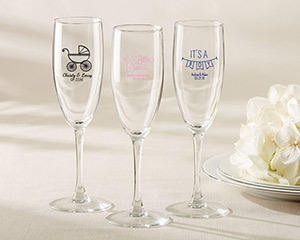 personalized champagne flutes from Kate Aspen are just darling! 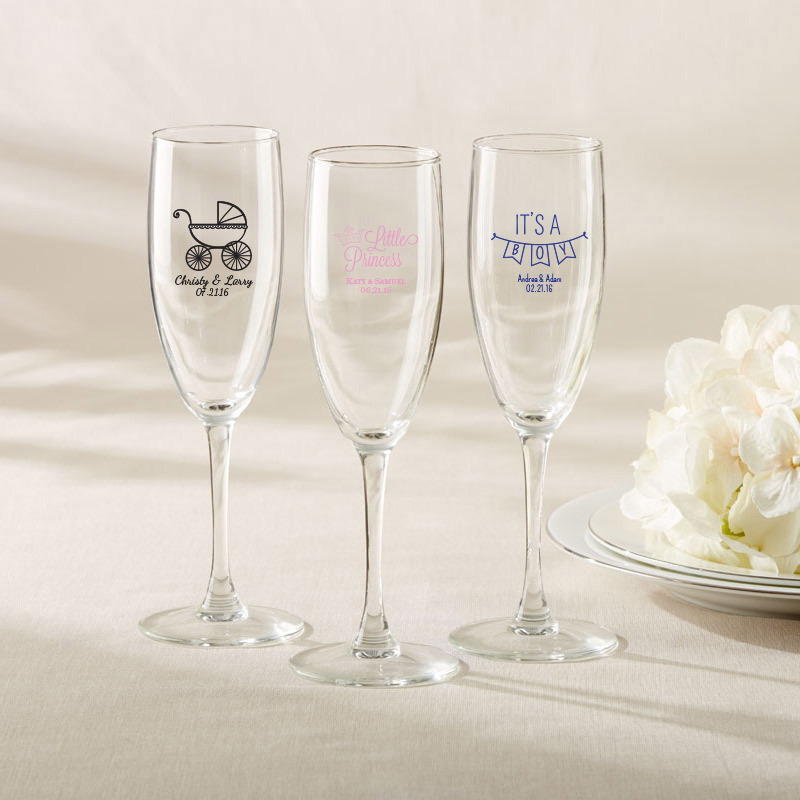 Toast to that new little one you're celebrating at your baby shower, or pass out as a beautiful party favor after the event is over. Either way, they're sure to be a hit!